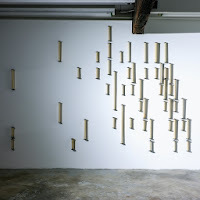 Randy Garber’s three part sound installation, I've Just Begun to Tell You, dissects and recomposes hundreds of piano player scrolls. Partly deaf since infancy, Garber cannot experience all sounds on a normal spectrum. Her installation relates what it's like to live in a sound filled world that contains packets of silence. Garber describes the piano player scroll as a "near perfect material metaphor" for partial deafness, since the holes in a player piano scroll —the absence of the paper—indicate the presence of sound. 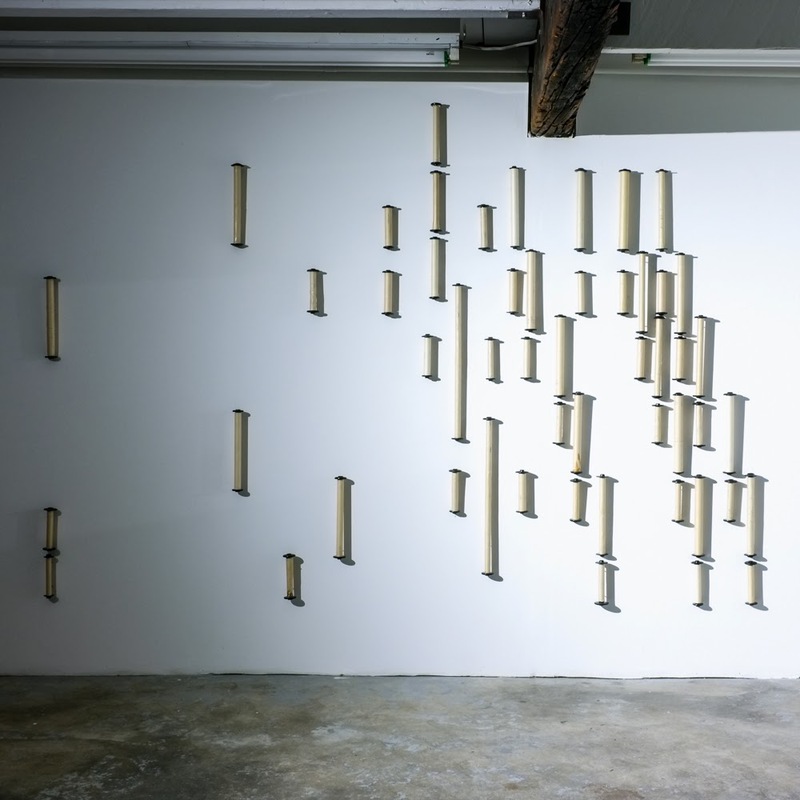 To assemble this installation, Garber was awarded the SMFA’s Traveling Fellowship, and subsequently researched at the University of Leipzig, the Seewan, Switzerland Museum, the Museum of Music, Vienna and the factory where her hearing aids are produced in Stefa, Switzerland. The installation includes monoprinted, intaglio and hand drawn imagery based on her travels. 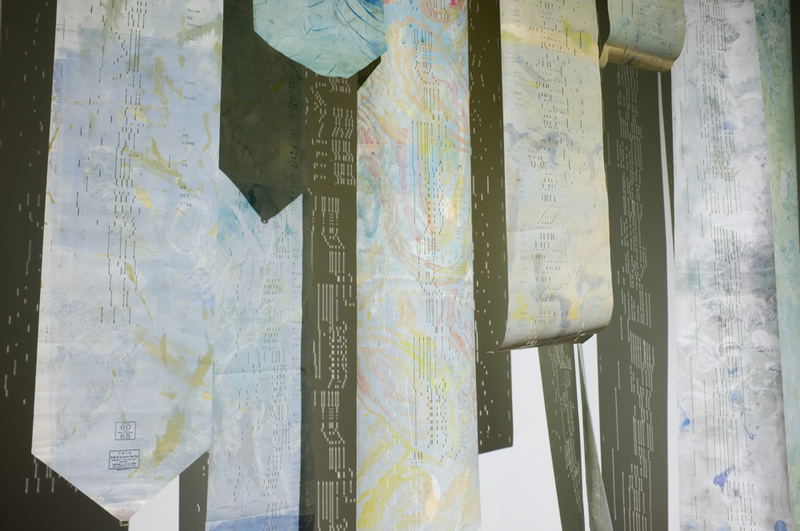 Garber also recorded the sounds of her trip on a cell phone, later compiling it into a four minute piece projected from inside the installation. It's her hope that the viewer will assemble meaning from the various and simultaneous signs, symbols and stimuli as it relates to the experience of sound and the lack thereof. Raised in Philadelphia, Randy Garber is writer, teacher and interdisciplinary artist exploring interpretation, language and multi-sensory experiences. 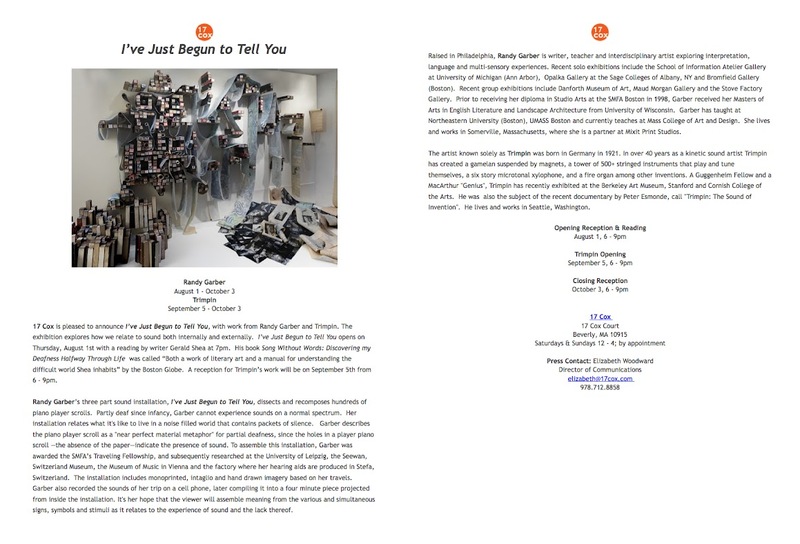 Recent solo exhibitions include the School of Information Atelier Gallery at University of Michigan (Ann Arbor), Opalka Gallery at the Sage Colleges of Albany, NY and Bromfield Gallery (Boston). Recent group exhibitions include Danforth Museum of Art, Maud Morgan Gallery and the Stove Factory Gallery. 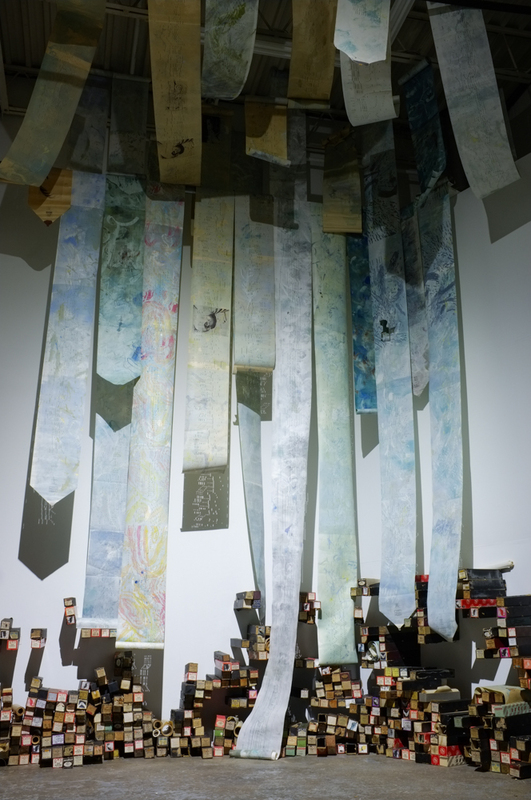 Prior to receiving her diploma in Studio Arts at the SMFA Boston in 1998, Garber received her Masters of Arts in English Literature and Landscape Architecture from University of Wisconsin. Garber has taught at Northeastern University (Boston), UMASS Boston and currently teaches at Mass College of Art and Design. She lives and works in Somerville, Massachusetts, where she is a partner at Mixit Print Studios. The artist known solely as Trimpin was born in Germany in 1951. 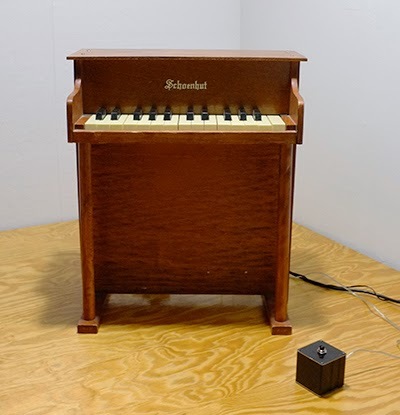 In over 40 years as a kinetic sound artist Trimpin has created a gamelan suspended by magnets, a tower of 500+ stringed instruments that play and tune themselves, a six story microtonal xylophone, and a fire organ among other inventions. A Guggenheim Fellow and a MacArthur "Genius", Trimpin has recently exhibited at the Berkeley Art Museum, Stanford and Cornish College of the Arts. Trimpin was the subject of the recent documentary by Peter Esmonde, call "Trimpin: The Sound of Invention". He lives and works in Seattle, Washington.